Ruby on Rails (RoR) is an open source web application framework, published under MIT License. Ruby on Rails, or rails is written in Ruby, it is a server-side web application framework that follows the MVC (Model-View-Controller) concept. 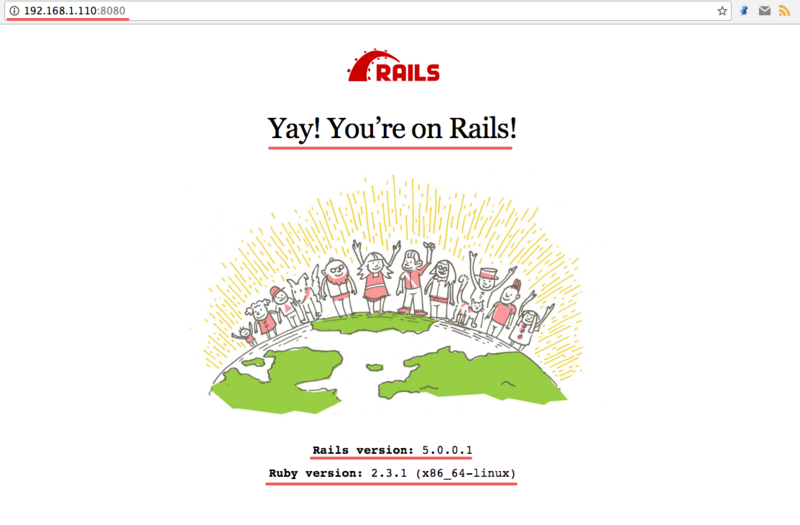 Rails is providing default structures for the database, web service, and web pages. More than 3000 developers have been contributed code to the Rails framework and there are many well-known applications based on Rails, such as Github, Airbnb, Soundcloud etc. In this tutorial, I will show you how to install Ruby on Rails on ubuntu 16.04 LTS. I will show you how to install and configure Rails with a PostgreSQL database, and how to create a new first project with Rails. 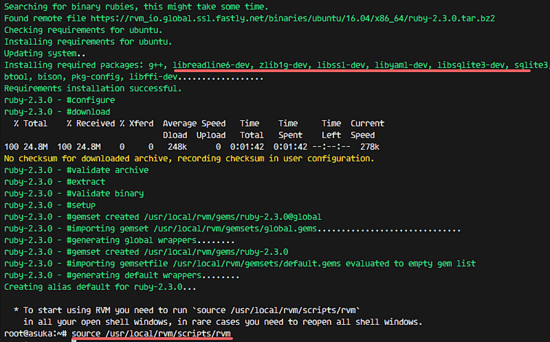 RVM or Ruby Version Manager is a command-line tool based on Bash and Ruby to manage the ruby installation. 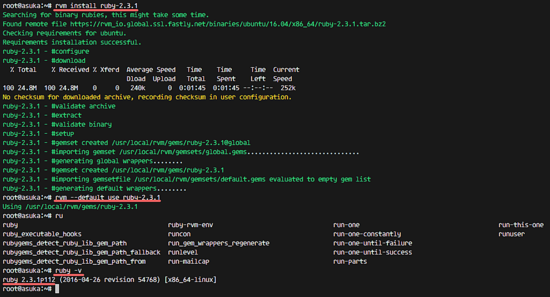 RVM allows you to install and configure multiple ruby versions on one system. In this step, we will install the stable RVM version and add the repository key with the gpg command. Install RVM stable. Make sure curl command is installed on your system. That command will install the requires packages for the RVM installation, then download the latest stable RVM version and install it. The current stable version of Ruby is 2.3.1. Install it with the rvm command and then make it the default ruby version for your system. Update rvm to the latest stable version, then install Ruby 2.3.1 version. Next, make 2.3.1 the default ruby version on the system. 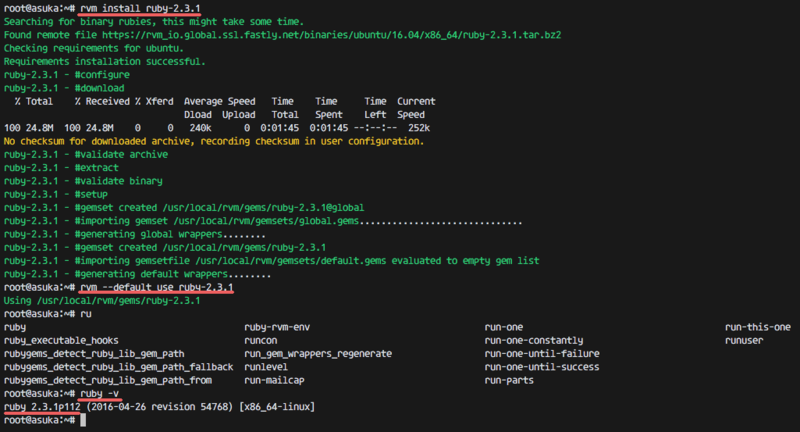 RubyGems is a Ruby Package Manager. 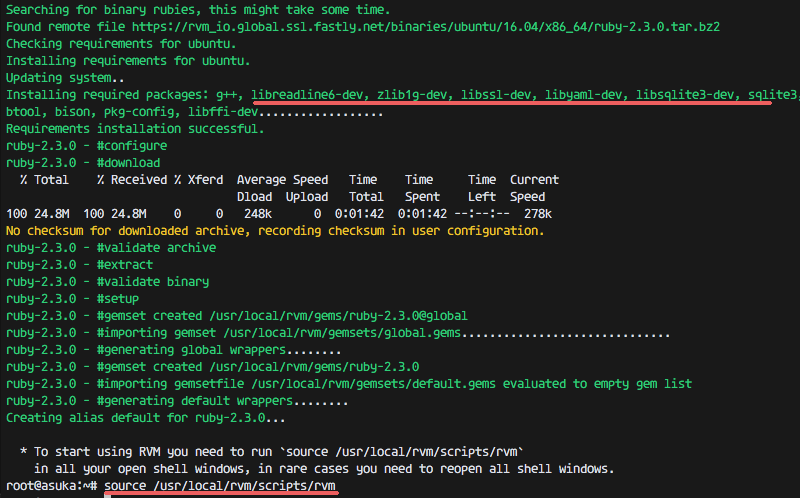 It's coming with the gem command-line tool and is automatically installed when we install Ruby on the system. This is optional, you can disable to install the documentation on every gem installation by adding a new line to the .gemrc file below. 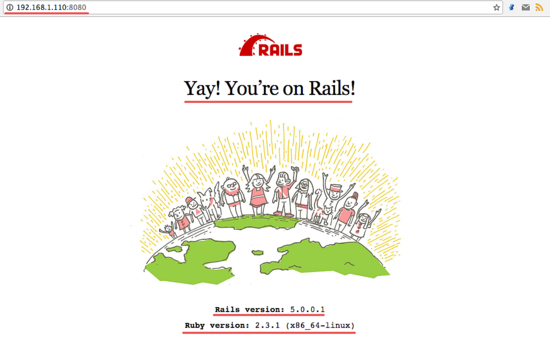 Rails 5.0 has been installed on Ubuntu 16.04 with Ruby 2.3.1. In this step, we will prepare PostgreSQL for rails development. Ruby on Rails supports many databases such as MySQL, SQLite (Default) and PostgreSQL. We will use PostgreSQL as the database for this guide. When the installation is done, login to the postgres user and access the postgresql shell. Set a new password for the user and check that the user has been created. 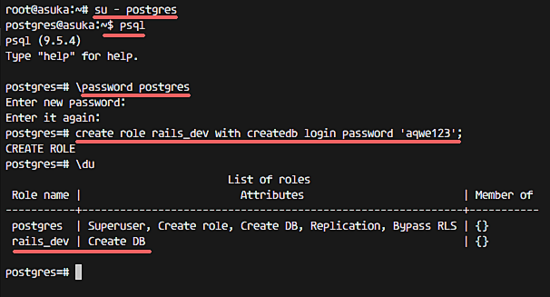 The PostgreSQL database has been prepared for the Rails Development. Ruby on Rails or Rails ships with the command "rails" and we can bootstrap our first application with that command. Create a new application "myapp" with PostgreSQL as the default database. That command will create a new directory 'myapp' and install new gem including pg gem that is needed by rails to connect to the PostgreSQL database into that directory. Next, go to the 'myapp' directory and edit the database.yml file in the config directory. In the development section, uncomment line 32 and type the role we've created in step 6. Open your web browser and visit the server IP address on port 8080 - 192.168.1.110:8080. Back to the terminal and create a new scaffold to interact with the PostgreSQL database. You will see simple CRUD on Ruby on Rails with PostgreSQL. How well does this work with Windows 10 and the WSL Ubuntu 16.04 system? I have got that error for past 2 days and I can't move on, please help. FATAL: Ident authentication failed for user "rails_dev"
PG::ConnectionBad: FATAL: Ident authentication failed for user "rails_dev"
I have seen the step to type su - postgres on many different blog posts. It always asks me for a password, and no passwords I can find or think of ever work. I've searched for a default postgres user password with no luck. Am I missing something? Super helpful. Esp. part about Postgres. Thx! The last one if taking from an error.